The ShoulderGard Rifle Rest is a recoil reducing rest. It has a 4point flexible base shooting rest designed to ease the shoulder punishment of sightingin powerful magnum rifles. 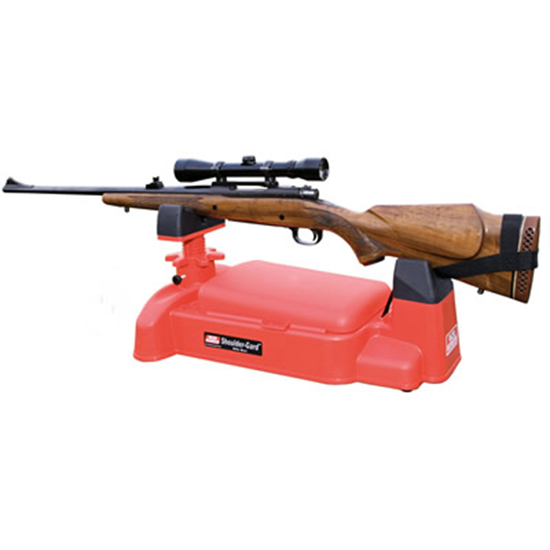 The front shooting pad is specially design to fit standard hunting rifles to custom bench rest rifles and ARs.